Orlando is growing very fast and we are becoming busier people. Moreover, traffic is worst than ever. As a result, we are spending a lot more time in the car. For these reasons and for many others, some of us eat or let our passengers eat in the car. However, food in the car is not a good idea for safety, practicality, or to hold the resale value of your vehicle. 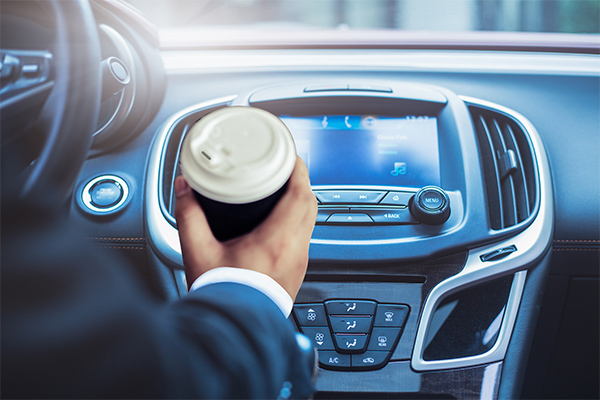 According to a study in 2009, eating or drinking coffee while driving causes more than 80% of all car accidents. I am sure the people that eat while driving will come up with more than 10 reasons why they are the exception, and how driving while eating does not affect them at all. Also, there are going to be the ones that think they have no other option. However, if you are honest to yourself 80% is a high chance an accident will happen, and you should reconsider your habits because you are endangering yourself and others. In the same fashion, eating in a car is not as practical as it may be seen. 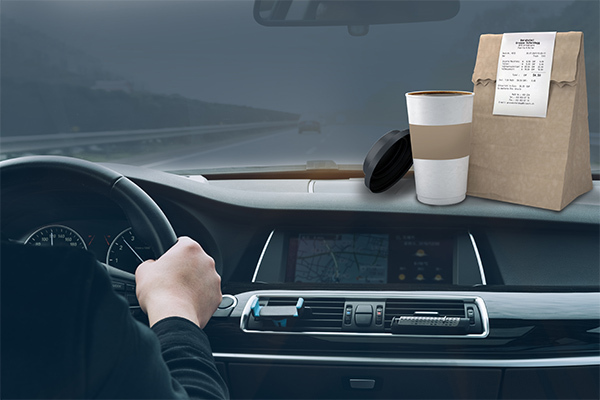 First, often, fast food ordering will take more time on the drive through. Second, more time sitting on the car causes back pain to many people. Third, to maintain the interior of your car, you will have to clean it more often. Therefore, while it may seem like eating or having your passengers eat on the car is practical and saving you time, is more likely to be making you waste your time and giving you other health problems. Similarly, if you care about the resale value of your car, you should stop letting your passengers eat on the car. By experience, detailing vehicles and buying and selling vehicles. Food is one of the worst enemies of a vehicle’s resale value. For example, stains, smells, gum residues, dirty windows, carpets, seats, and floormat wear and tear will drop the value of your vehicle sometimes even on the thousands of dollars. In conclusion, food in the car is not a good idea. Not only it will endanger your life and others, but also, it is not as practical as it seems and will leave permanent damage on your vehicle that will cost you money some way or another. If you are in need to fix the damage caused by food we recommend our full detail or our full spa.